My name is Richard Friend, and I grew up in Laurel, Maryland in the 1970s and 80s. 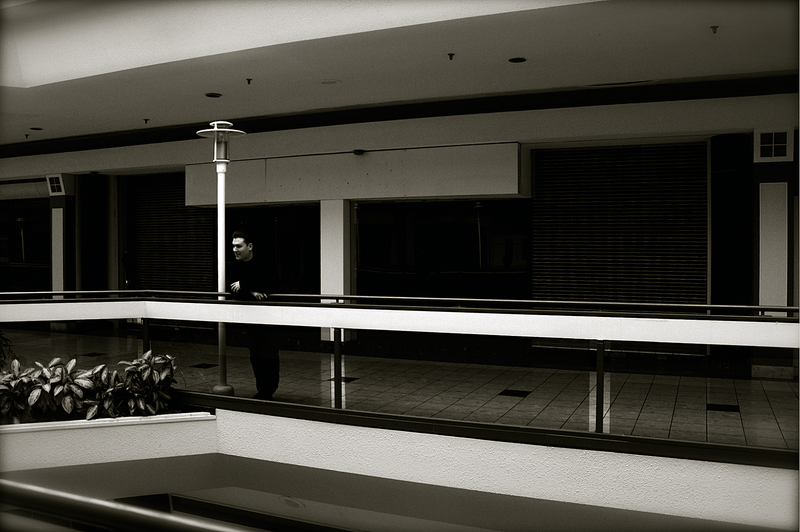 A final walk-through of the vacant Laurel Mall. 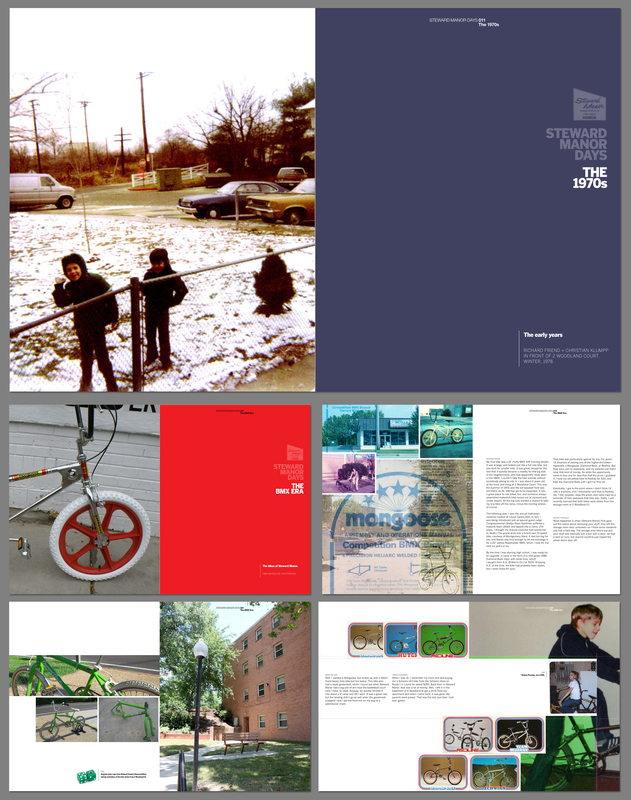 Now based in Northern Virginia, I’m a graphic designer whose interest in Laurel’s retail history began while documenting life in the modest neighborhood where I lived from 1978 to 1987, Steward Manor Apartments. An ancillary project, I started Lost Laurel as a way of also documenting and sharing the numerous stores, restaurants, and other businesses of bygone Laurel. It’s turned out to be more than just a pastime for me, and I’m continually amazed at the number of people who share what I thought was an unusual passion; people who appreciate the businesses that once resided in our hometown. In many ways, I’ve found that these places really had lives of their own—lives that are worth remembering. The Lost Laurel Facebook page has grown to over 4,500 followers, and I enjoy posting new photos of vintage Laurel there daily. I published my first book in 2013; and in 2014, worked with the Laurel Historical Society to create “Lost & Found Laurel”—an exhibit at the Laurel Museum that ran until December 21st. The book, Lost Laurel, is now available through the Laurel Museum gift shop, and an eBook version is available here. 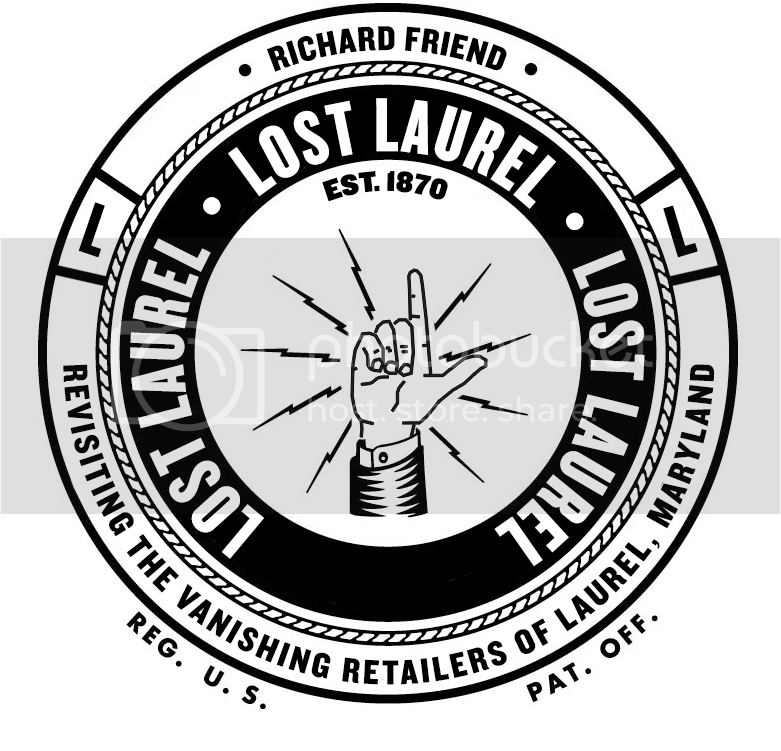 If you have anything representing a former Laurel retailer, I would greatly appreciate it if you’d email photos or scans to richard_friend@mac.com for inclusion in the project. These could be photographs, brochures, ads, business cards, receipts/letterhead, matchbooks, shopping bags, price tags, menus, etc.—memory triggers that remind us of the Laurel we once knew. I will gladly credit your photos and artifacts wherever they’re used. And if it’s something you plan to part with, kindly let me know before you do—I’m actively purchasing items for the Lost Laurel collection, trying to save and share every bit of nostalgia that I can! Thanks, Jennifer! I’m finding a lot of folks who share this sentiment, and am hoping we can get some of them to go through their old photos and artifacts and contribute. Who knows what we’ll find! I stayed in Pumpkin Hill the summer of 76 and worked at Dart Drug on Ft. Meade road. Laurel was quite an adventure for me. Hi Bill—thanks so much! Yes, I’ve heard a great deal about the Steward Manor “Party Room”, despite the fact that it had been sealed off a couple of years before my generation had a chance to enjoy it. It was actually located in 10 Sharon Ct., with the entrance on Morris Dr. as you recalled. While the rear exit stairwell itself was sealed off in recent years, you can still get a glimpse of the room—and what’s left of its original pastel paint—through that basement window! 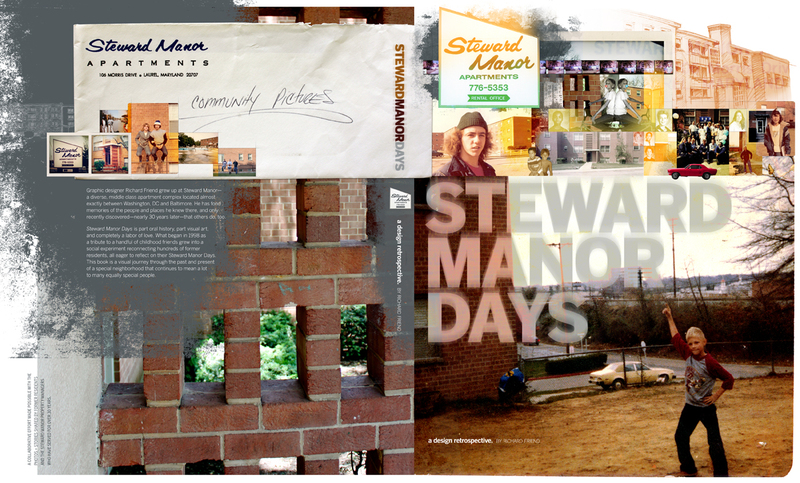 We’d love to have you in our Steward Manor Days Facebook group—I know there are at least one or two other folks who were also there during the early 60s who’d love to hear your memories, and definitely see any photos you might have from that period! Please check it out (http://www.facebook.com/groups/132285213466504/), as well as the main blog at http://www.stewardmanordays.com. this is pretty awesome bro i lived in time out during the early 90’s. that was the spot! Thanks, Johnny! I wish more photos existed (or would surface, if indeed they do exist) of Laurel Centre’s Time-Out. I’ve found exactly ONE, so far… But, we’re definitely lucky to have one of the former store managers (Jeff Perlin) as part of our Facebook group! Hey Richard, I love the website and was also a participant at the Laurel Mall walk thru on 12/31/11 (probably the other person taking pictures that you heard mentioned on the security guards walkie-talkie. I am a novice photographer, but if you ever need any assistance with your project, whether it be photography or anything else, please let me know. I would love to help. This is a great site! My friend and I were born in the mid-eighties — could you do a post on some things we remember? High’s? Pal Jacks? Roller skating nights Friday Nights for LES? Richard – I just read the Laurel Leader article about your cool projects! Having grown up in suburban Philadelphia, I’m a transplant to Laurel and have been living here since 2005. However, a few cousins lived in Laurel in the 1980s – in fact, I saw Biloxi Blues at the Laurel Shopping Center movie theater and one of my cousins worked at a Bennigans (?) I think on Route 1. In an area that attracts its fair share of transplants such as myself, your blog is a great reminder that Laurel is a proud “hometown” with a rich history. (I loved the map of the Laurel Shopping Center that showed the Jamesway…we had a Jamesway where I grew up too!) Looking forward to following your blog! Great blog Richard! I lived in the Deerfield Run apartments down off of Contee Rd from the mid-80s till the early 90s. I have fond memories of living in Laurel… pizza at Delaney’s, the arcade in the Laurel Mall, Little Tavern Hamburgers, etc. I haven’t seen anything on your blog about the drive in movie theater though. Have you written any articles about that? Thanks, Gary! Having gone to Deerfield Run Elementary, I remember Deerfield Run Apartments nearby! Thanks Richard. Brings back a lot of memories. I saw “ET” at the drive in for the first time too. I had completely forgotten about the Howard Johnson and the giant cookie place in the mall until I read about them here. Your articles are great, and the pictures are awesome too. I was at Deerfield as well from first grade in ’84(I think) until ’90. Went to Eisenhower until ’92 and would have gone to Laurel H.S. but my family moved to West. Va.
Hi Richard: Do you remember the name of bar/restaurant that was in the corner of Laurel Center, opposite Astor Home liquors ? The name eludes me, but I remember the red and white striped tablecloths. I will post more later, but THANK YOU for doing this. I live very far from Laurel now, but I was raised there for a good chunk of my young life. I worked at Babbage’s and Software Etc., my friend James was one of the managers at Time Out, and I lived across the street from Steward Manor in Milestone. This brings back so many memories! Thank you for doing this. I am too a graphic designer. I lived in Laurel from 1985 – 1994 ages 9 – 18. I went to Laurel High School and worked at several stores in the Mall. I moved to Northern Virginia in 1994. I don’t get to go home very often, but hear updates from friends who still live there. I was really touched by your Laurel Mall good bye blog. Your photos and your stories really bring back a lot of memories and emotions. It is so sad that our home is crumbling. I hope that the new construction in the area helps to bring it to life again. It won’t be the same, but at least it will still be alive. I found Lost Laurel after looking for Delaney’s Irish Pub back in March of 2012 (sadly found out it burned down due to an insurance scam…sooo sad about that). I am originally from Illinois and moved to Laurel November of 1982 and lived there until 1995. Your Lost Laurel website has been such a comfort to me, as it brings back such warm memories of wonderful days gone by. I used to enjoy going shopping at the Laurel Center Mall and eating those deliciously warm chocolate chip cookies at “The Great Cookie” and also shopping at Hecht’s and JCPenney. That mall was awesome back in its day! So many great places to shop and eat! Didn’t they also have a Friendly’s Restaurant there, too? 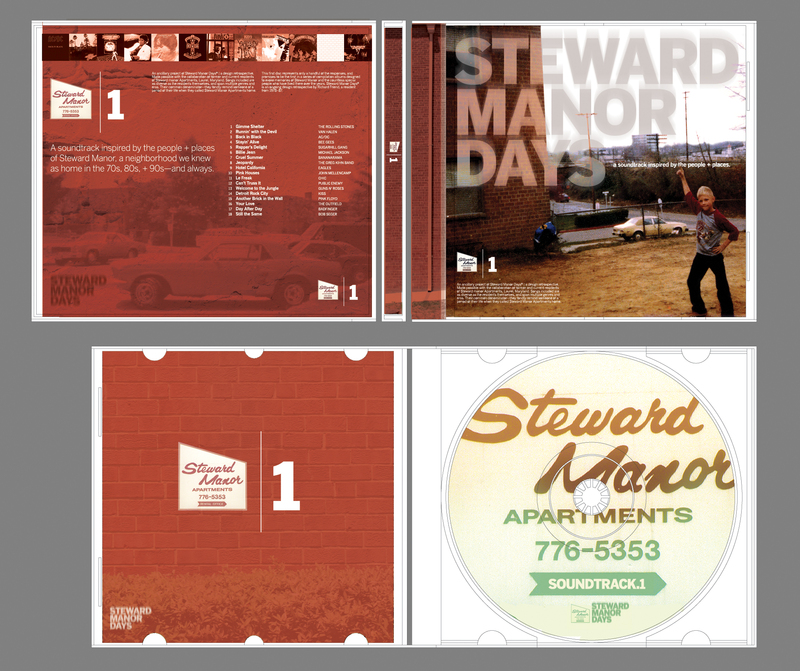 And I also remember Steward Manor. I think I had actually been in one of the apartments a long time ago to watch a football game with friends. Nice apartments, too. Ahhh the good old days! Nothing like it. Laurel was a great place to raise a family. We would also go to the Main Street Festival each year and it used to be so much fun. I remember the pit beef barbecue sandwich cart and how great they were, and also the wonderful handmade crafts you could buy. Also the Main Street Corner Shoppe and all the antique shops along that strip that I would frequent almost every Saturday morning. Another great place to eat was Patuxent Place and Red, Hot, and Blue. Also Oliver’s (a little bar that had great sandwiches…did not drink, just went there for the great food!) I also remember the train that would run through Laurel and also the Laurel Meat Market. Thank you sooooo very much for this website. I can come here when I’m feeling the need to reminisce about better times in my life, when I had my first daughter and her going to Tiny Town Nursery School, Whiskey Bottom Elementary, and going on a Hay ride with her Brownie Troop way back behind Settler’s Landing, where we lived (there was a big field back there). We bought a brand new Town House back in 1985 in Settler’s Landing. I so loved that Town Home community and it used to be so nice and family oriented before everything started changing and not for the good. Thank you again for helping me relive some very nice memories. I could go on and on about all the places I remember but suffice it to say that Laurel was the best town I could have ever picked to live in since moving from Illinois, and it will always hold a special place in my heart. The rich history and kindness of the people who lived there has left a mark on my heart forever. Thanks so much, Sarah! It’s always great to hear from others with such fond memories of the town we knew. If you haven’t already, be sure to check out our Facebook page, (www.facebook.com/lostlaurel) as I try to post new photos there daily! Thanks, Richard. I’ll definitely check out Facebook! Can’t wait to see the new photos! PS: You are a fabulous writer and no doubt could write a book on this and become famous over night! Seriously. Once I started reading everything you wrote, just like a good book that you can’t put down, I could not stop reading about all of Laurel’s History as well as all the cool information and photos on so many buildings, restaurants, stores, people, etc. I truly appreciate everything you’ve done to put all of this together so please, please keep up the good work for all of us “Laurelites”! Fun blog here. I lived in Laurel (whenever we weren’t stationed overseas) from 1960-1977. I still go back to visit family there. My brother and I delivered papers at Steward Manor (Me the Post, him the Evening Sun), and I worked at IHOP in the early 1970s. Laurel’s always been a funny town to me, but I had some truly great times there growing up. My high school (LHS) boyfriend worked as the manager at Steward Manor pool – around 1987 or 88. Omg….this all just rips my heart out. I lived in Laurel from 1984-2000. I lived in Fox Rest Woods, Horizon Square, then bought a home on Whiskey Bottom. When I go back and see the haunting changes, I just want to cry. I will forever love Laurel. It’s where I raised my kids. And now the mall???? I almost can’t stand it. I will search around and see if I have anything to send as memorablia. I save an awful lot of crap. (ha ha)…I miss Bradlees, the movie theatre (“located next to China Delight”) Lionel Kiddie City….my heart is just breaking with the memories. Thank you so much for sharing this. You have done some amazing and personal research- very well done! I am on the ‘other’ side of things, having just recently moved to Laurel from NC. Seeing ‘how things were’ then, helps explain a lot about ‘how they are’ now in Laurel. And it also gives me a new appreciation for the community. Looking forward to reading much more!! Thanks for the blog Richard! The posts I’ve read so far have been great, particularly the work on the Stefanie Watson case (which I remember well, and my sister remembers seeing the bloody car). I grew up in Laurel (born there 1964), moved away in 1988. If you went to Laurel High School, you might remember my brother Steve, who ran the boilers and did other engineering/maintenance sort of stuff. I’d be interested in reading more about include a pinball arcade on Compton Avenue that I’d walk to all the time, probably would have been around 1979. They had the “Flash” machine, an early electronic pinball machine favorite. Hi Richard! Great blog! 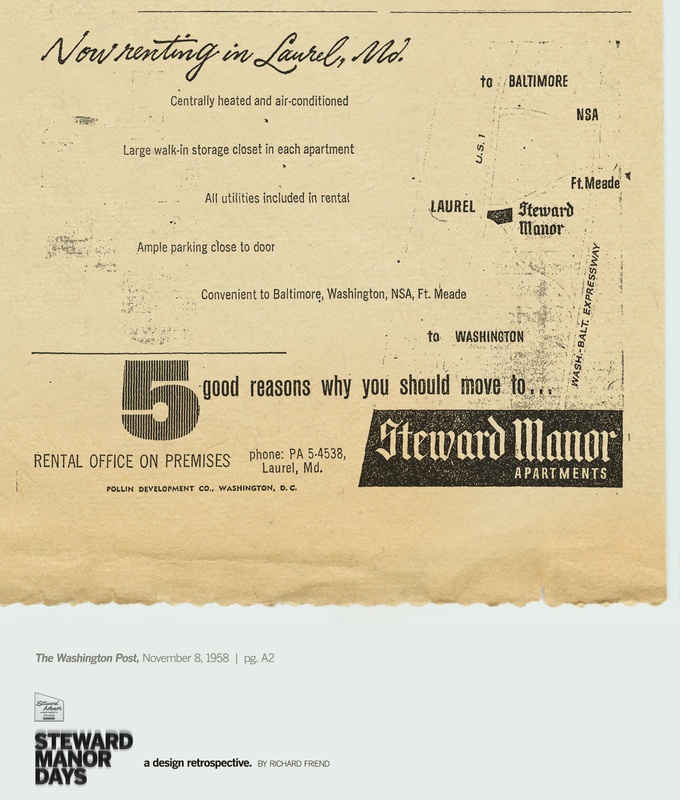 I, too, lived at Steward Manor but in the early sixties. I just wrote a very brief account of the experience with three pics. I’m computer-literate but not particularly blog-literate. I’d be glad to send you the email for your review if you’d like/ I think we have some things in common based on your work here. Very enjoyable. Do you have an email address you’d like to share? Thanks so much, Jerry! I would LOVE to see your Steward Manor photos, especially as it’s been particularly tough tracking down residents who took photos of the neighborhood during that era. Whenever you have a chance, I would greatly appreciate the chance to take a look at them! You can email them to richard_friend@mac.com. I absolutely love this sort of stuff…as a lover of history, documenting this sort of stuff is documenting our history. I am originally from Texas but relocated to Howard Co. and while I didn’t grow up in Laurel, I love what you are doing. Please, keep it up!! In the picture of the Super S store sign, I saw the name of the company that made the sign in small letters at the bottom, Jack Stone. I knew someone that worked there a few years ago so I checked out their website. In the “about us” section,, there are a few photos that you may find interesting. You may want to contact Jack Stone Sign Co. and see if they have pictures of anything that might be of interest to you. Awsome blog by the way!! My grandfather was the owner of Keller’s newstand until my Aunt & Uncle took it over after he passed in the late 70s. We used to visit the store frequently and have I many stories/memories from there. Tossed who knows how many quarters into the Pac-Man machine in the pizza parlot across the street. Got sick from eating half a box of candy bars from the back room. That store had quite a history…. I’d like to find one of those prints of the store if I could find one. Would be great little piece of family history. Kirk, although I knew TC and Lucy from a different time, I am very fond of this couple. I know Lucy passed away several years ago. I am desperately searching for TC. By chance do you have any leads? The first music store was Suburban Music in the shopping center – The famous “Telestars” worked there and I met them and became friends. I have a postcard with them on it. The Greyhound bus would take us from the shopping center to DC (only had to be 18 to get into the clubs). It ran up and down Rt. 1. We went to the doctor’s office at Doctor Weaver’s house on Montgomery Street and the Laurel Hospital where the Post Office sits today. I went to OW Phair, Laurel Elementary, Laurel Jr. High and Laurel High School. We had parades and football games on the field on Montgomery Street. We hung out at McDonalds on Rt. 1 and Harley’s by the bowling alley. We ice skated on Laurel Lakes and burned tires from the junk yards off of Rt. 1. We walked to Gravilles on Main Street for hot chocolate after skating. We walked around and knocked on doors and sang Christmas carols. I was never afraid in Laurel. We went to Stewart Manor parties in that club room too. Most of the folks I knew that lived in Stewart Manor had parents that were in the service. They were station in Fort Meade during the time we became friends. My first kiss I got was parking at the Sanitarium, after it was torn down. There was Pizza hut on 198…great thin crust, lots of sauce and square pizza! When soul music became popular with us, I went to the “Grove” and would visit with girls there and we would put on 45’s and dance and sing. I love my memories…thanks for getting me to remember them. What a grand place to grow up!! I really enjoy your website. I grew up in Silver Spring (now in Baltimore), but I used to hang out in Laurel all the time. I have fond memories of playing video games at the mall, drinking coffee at the Tastee Diner, and playing pool at Champions and USA Billiards. It’s great to be able to read all the history behind the retail areas in Laurel that I used to spend time at. I would love to see more chefs and entrepreneurs invest in Laurel Main Street. Would be great to see a resurgence in true independent, mom and pop retail and restaurants turn Main Street into a destination location. Being so close to DC and Baltimore, it’s weird that it never happened, as it has all the retro charm of areas like “The Avenue ” in Hampden in Baltimore, and Downtown Frederick, MD. Thank you all your work with this project! And I hope that you exhibit goes up again, so I can check it out. Hi this is a very cool site. So glad I came acrossed it. I didn’t grow up in Laurel, but I’ve lived here for the past 30 years and my three kids are “Laurelites.” I found this website because I just came from Main Street, where I was saddened to learn that the Vaccuum Store located at 338 Main has closed and that the owner had passed away. I have bought at least 4 vaccuums from this store, which was located first in the old Laurel Mall. I always felt good shopping for an American made vaccuum from a small business on Main Street. I will miss this store, like so many others that once lined Main Street. Was Suburban Music part of the original Laurel shopping center. I remember buying guitar picks in a small music store. Yes, Suburban Music was part of the 1966 addition to Laurel Shopping Center that included the Cinema, Hot Shoppes, and Georgetown Alley. We moved to Laurel around 1957 when my dad went to work at NSA. We lived on Harrison Drive and later Marton Street in the Fairlawn development behind the shopping center. I went to 5th and 6th grades at the old Laurel Elementary School on Montgomery Street, then to Laurel Junior High, then high school at the old LHS. I saw Thunder Road with Robert Mitchum at the old Laurel Theater on Main Street, which years later Pal Jack’s reopened as a dinner theater. In ’58 our neighbors took me, in the back of their pickup truck, to Dorsey Speedway. That was the fundamental formative experience of my life and led, after detours through college and the Army, to the career which I still enjoy. Stores in the original 1956 shopping center included Kresge’s, Stewart’s (a clothing store), Woolworth’s, Bart’s barber shop, Hi-Gear automotive, Peoples Drug (at the outer end near US1; they had an excellent lunch counter) and of course Giant Food, whose sign could be seen in those days from high ground near Ft Meade on Route 602 (later renamed Rt 198). In the corner was a restaurant called the White Coffee Pot, which following some incident or other banned black leather motorcycle jackets. There was a State Bank squarely in the middle of the parking lot. On the south side of the center was a vacant lot where the circus set up. US1 was four lanes but had only recently been relieved of deadly high-speed congestion by the new B-W Expressway. North of Laurel US1 was a series of hills with very poor visibility. A few miles up the road was a strange building in the silhouette of a dog, the “Home of One-Shot Flea Powder.” The building was both factory and residence. There were also a number of “Colored” motels and cabins, which coming from New Jersey I had never seen and could not understand. They had what I later learned were Jim Crow code names like Blue Jay (yeah–welcome to the South; I learned what racism was from exposure to my 5th grade teacher, who actually referred to me in class as a “damyankee.” Today she would be in jail). Southbound US1 had a long straight stretch through Beltsville lined with sycamore trees…and a drive-in. On the present site of Acadeny Ford was the TransitTruck center, which had previously been disassembled and rebuilt on the other side of US1. Academy Ford itself used to be in town a block or two from Main Street. On the corner of US1 and Main Street was Tag’s restaurant. I sang in the choir and was an altar boy at St. Phillip’s at 6th and Main. We would skip Sunday School and spend our collection money on cookies at Cordelia Bakery. Laurel Library was a tiny white house on Main Street. Later we moved west of town, out Brooklyn Bridge Road almost to the Montgomery County line. There was a spot on Old Gunpowder Road that crossed the power lines which were then clear-cut. The cut ran in a dead straight line; looking down it on a clear evening you could see the Washington Monument. Sometime in the 60s they built the north half of the center. There was a movie theater in that corner. The first movie that played there was the premiere of Pendulum starring George Peppard. I lived in or around Laurel for various periods, finally moving to Wyoming in 1993. Last time I visited Laurel I was glad to see that unsightly parking garage was gone. Sorry about the mall, but as a business model, malls are pretty much dead everywhere. The old open center was there before and after. Hang in there, Danielle. Talk to your parents or any other trusted adults and have them get involved—make sure they understand the problems you’ve experienced at school. I hope things improve for you soon! I lived in Laurel from the time I was 2 until I was almost 14 when I moved in 1977. I remember when Deerfield Run was built and one of my best friend’s mother worked in the cafeteria. On this beautiful fall day, as my husband roots for the Phladlphia Eagles to beat the Redskins, and I out of boredom, began perusing the net, and what do I find but your blog and history of Laurel, MD! Not only do I stumble across this site, but in one person’s reply there is my name. Granted only my given name, but the reference was about my family. The photograph of Outrider’s Diner gave me a heart-stopping moment. Let’s back up to my family history: I am a third generation Laurel girl, my great grandfather was Justice of the Peace in Laurel. He was often referred to as “Judge” Davis. His daughter, Frances Davis Sharp, ran a dress shop on main street called The Laurelrete located next to Gravilles. My mother, Frances sharp, was reared in Laurel, graduating from ST.Mildred’s, which later became Palotti High. I was born in 1944 and grew up in Laurel, graduating from LHS, class of ’62. Our family farm, which was appoximately two mikes no.of Laurel was a horse farm and our property lines crossed down to US 1 and Whiskey Bottom Road on the east side. 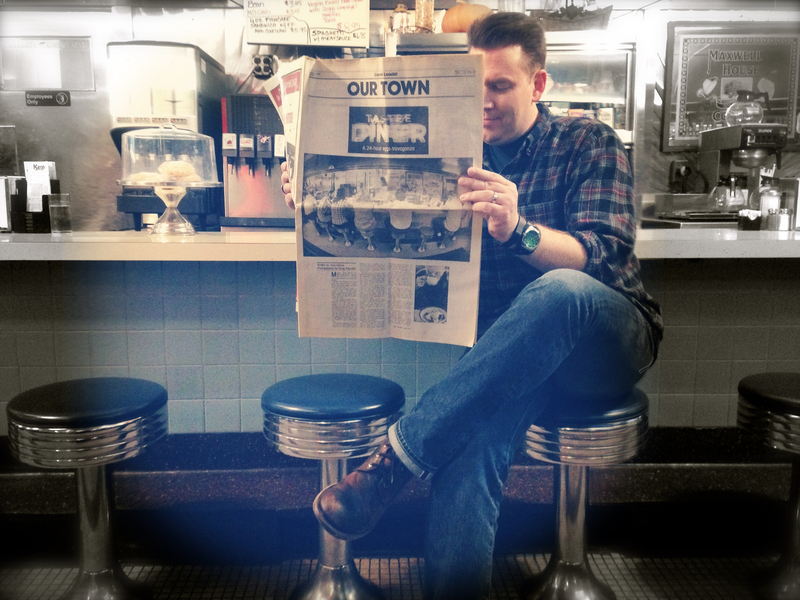 We owned the land that Outrider’s diner was on. Bill Mayhugh owned the diner, but paid us a monthly rent. I was the brat that was allowed in the kitchen, and had a running tab there most of my early days. My family and I ate there most weekends. In my wild teenage years, my first stop after school was at the diner to have one of the best cheeseburgers ever! In the glory days of thoroughbred racing in Laurel, Outrider’s hosted some well known people who owned horses. The president of RCA, David Sarnoff for one. It was the place to be in racing season. The ghosts are still there, but they speak only to me and to those with whom I shared a past. I guess Thomas Wolfe had it right. Sorry for my screed, but it was most cathartic for me to ramble on this day. If I had not seen my name mentioned as well as my father’s name, I ptobably would have just had a nostalgic smile across my face, but I needed to reply. The correct spelling is MADDOCK , not Maddox, and no, I did not inherited Outrider’s diner. In my dreams, I could have kept it going, and believe me, that would have been one helluva party! Thank you for what you do and preserving our past. Sandra Maddock….This is Freddy Severance….Class of 56, LHS….freddysev@hotmail.com Have not seen you since I was an Anne Arundel County Police Officer…. Hi, Richard. My family lived in Vienna, Austria, from 1963 to 1968, when my Dad was forced out of his position in Austria and forced to take a job in Burtonsville, Maryland (long, political story there). I was 12. The move was a huge culture shock for us. We lived in the Greencastle Country Club Apartments, a high rise building surrounded by a pretty golf course, now long gone of course and occupied by hideous “garden” apartments etc etc. Anyway, we often drove the 5 miles or so east to the Laurel Shopping Center to buy things we needed. The shopping center was a classic piece of Americana, as your web site so ably documents. I remember especially the Peoples Drug Store and a certain small pet shop where we one day bought a kitten to give to my mother for her birthday. That kitten became “Gina,”: who lived 20 years and is now buried on the central Virginia farm we’ve run for the past 33 years. I remember the day in 1972 that George Wallace was shot in the parking lot of the shopping center—a truly important event that probably gave the election to Nixon and has thus affected US history ever since. Well, thanks for your creation here. People affect places, and places affect people, and it all stays in our memories long after everything tangible has changed and been lost forever. Change is the only constant, and I worry about where change is taking us. My sense is that we embrace change, and toss away what we have, too willingly. Our family moved to Laurel in 1970. We owned a home just off Main Street. I went to Laurel Elementary and Laurel Jr High. 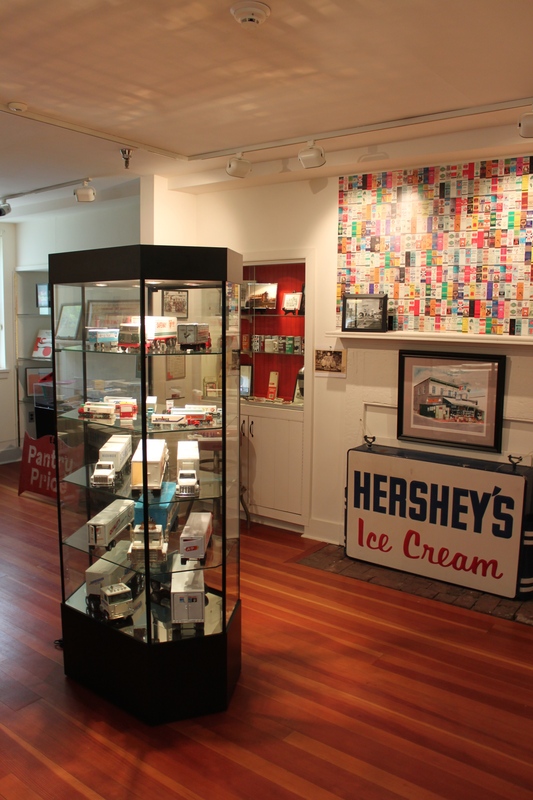 I was there the night the Penny Arcade first opened in Georgetown Alley and when they first got “Pong”. Later the games got better, PacMan, Space Invaders, then Tron, etc. I remember the old Go Kart track where they ended up building Montgomery Wards. I remember the drive in, in 1976 I saw “The Great Waldo Pepper” there and “Funny Car Summer”. I saw your articles on Drug Fair, I worked at that Drug Fair, it was my second real job. I worked there in 1977 as a Stock Clerk. My first job was delivering the “Sentinel newspaper that didn’t actually pay unless the customers decided to pay and no one ever did so that wasn’t a real job, but my first real job was in 1975 when I worked as a Bus Boy and Prep Cook at DiJenero’s off 197 and Contee road. I was only 15 but after work they’d serve me beer at the bar whenever I got paid. It was the 70s and things were different. Later I worked at the Budget Rent-a-car off Gorman Avenue, owned by the DeLorenzos. I worked there about 77 to 78. In 79 I worked at Greenmount Moving & Storage, and I also took a night job at Montgomery Wards in the womans shoe dept. I remember the old Laurel Theater, it was just down the street from our house. I saw the very first Bruce Lee movies there when they first came to the US. We went there every week on Sat night. I saw Planet of the Apes, Dirty Harry, The Omega Man, Easy Rider, Logans Run, all the classics from the era. I remember the older teens would sit in the balcony and neck and the ushers with the red cones on their flashlights. I remember sneaking into the race track down at the end of mainstreet by the train station and looking for dropped tickets with my friends. I remember the old observation tower in the Elementary school. I was a member of the old “Hap 5” laurel CB radio club in the 1970s. I also was briefly in the Boy Scout troupe there that met in the elementary school gym. I remember the big Christmas tree the man who owned the electric company turned on every year, all the families would drive by and see it in the early 70s. It was on Montgomery street heading out of town on the left there where Montgomery turns into Riding Stable road. It was a big deal around Christmas time for the families to all pile in our station wagons and drive by just to see his tree. It was huge. I was near Laurel mall in 72 playing hookey from school when Wallace was shot at Georgetown Alley. I remember Hurricane Agnes in 72, when the waters came near our home off Main Street and the old swimming pool was flooded, and the flood took out the old bridge crossing into Savage and Scaggsville. In fact I used to go to that pool in 70 and 71 and 72 when we first moved there with our family. I remember jumping off the diving boards the low and high. I remember the lifeguards giving me a time out for running. I remember a lot of Laurel. It was a different time, a different world. I think sites like this are important. People like you are the timekeepers. The history recorders. It was great coming across your site as I sit here this Christmas day, 2017. Keep up the good work. PS I also lived at Stewart Manor with a roommate in 1980 to 81. Other memories, (lots coming back now seeing this site) are Kellers on mainstreet, I worked for one of the owners of Kellers delivering papers. My father was in the Laurel Leader we still have a clip out of it. He used to make and sell Windmills from our yard. The article is called “Tom Weber, a man and his windmill”. He went over to Cooks Hardware pretty much every day. Remember the Cooks Hardware on Mainstreet? In 1979 after I left Montgomery Ward I took a job as Night Watchman for Pinkerton Security. First I worked at Marianne’s Dress shop but later was moved up to Night watchman at Academy Ford on Route 1. I worked for Ron Bortnick who was the Sales Manager there at the time (now owns Ron Bortnick Ford). I was night watchman there working 10 PM to 6 AM 5 days a week until from 79 about 1981.I rode a motorcycle back then to work I used to drive into town at night before my shift and hang out with a security guard at Laurel Plaza that walked the strip there, named Frank. He was like a cop, twirling his nightstick and we’d sit in the International House of Pancakes there and drink coffee and he’d tell me stories about arrests and his footbeat like he was a real cop. Then I’d drive to work and work the nightshift guarding the grounds at Academy ford. I also drove deliveries during the day one Summer for Gude Bros Florists on Route 1 at the same time. Remember the big Gude Bros wholesale florist? That was an entire plantation out there. Also where Laurel Lakes are now there was an actual Laurel Lake back in the 70s. It was more of a pond with a big spillage hole in the corner, and in the winter it would freeze over and we’d all go ice skating on it. It was very popular to go ice skating there on it. I also remember the Library on 7th street, I went there on my bicycle in the early 70s and checked out dozens of books at a time. I also remember the Hobby House when it was down by Zayre. I’d go there at night with my Dad and buy a “Mini Plane” or two, something I collected back then. My Uncle bought trains for his miniature train set there. We’d go to Zayre every Sunday morning and take our go cart there to ride with my Dad. He’d put it in the back of our Falcon station wagon and unload it there, then we’d ride around behind the store. Sorry for all the memories, but your site got me going. Our memories as are integral to who we are as our skin and bones. I think we form more profound memories as children and young people than we do as seasoned adults—because, after all, we were young and everything was new to us. These memories take on a shimmering, almost magical quality as the years tick by. Thus, an ordinary drugstore we frequented as a child can become an enchanted castle. The older we get, the harder it becomes to believe that the landscape of our distant past ever truly existed. It is slowly blurred by a lifetime of other experiences and buried by ten layers of pavement and concrete. You try to revisit the old places, and find to your dismay that most of them have vanished or been altered beyond recognition, often in ways that seem unholy, such violence do they do to the cherished edifice of the past as it exists in your mind. But . . . .when we share memories of a time and place with others, we realize with a sort of amazing jolt that the past really happened. We can move around in it again for a while, and see and touch the old haunts. Overlain upon this whole phenomenon are the qualitative changes in the American urban and suburban realms that have occurred since we were young. Most, but not all, of these changes have in my opinion been negative. As a result, our memories of the earlier era have even more than the usual poignancy. The website does an especially good job of connecting the dots in our recollections of a particular time and place. Hello, I live in Laurel, Md in 1986, I love snow & winter time! I learned how to drive up there in USA. Best regards for all the memories, I won’t never forget! Please add my whatsapp number +507668130 in Panama, Central America. First, thank you for keeping memories of Laurel alive. You do great work on this site, and the Facebook page. Do you know what the name of the tavern was that used to be next door to the Giant, and caddy corner from Astor Home in the Laurel Shopping Center? I know it is not there any longer, and I’ve not been there in 30 years, but lots of good memories. Thanks, Marty! I believe the place you’re thinking of was Mac’s Place Plus One! What’s the name of the defunct small independent Auto Parts store situated on US1 across from Laurel Lakes Center, near perhaps current Famous Daves? When did it disappear? Shopped there many times to maintain my old 69 VW.